This is my last post for the birthday celebration that I wrote about this week. Since it is a dessert recipe I saved it for last. I always make two desserts when it comes to birthday celebrations. One always has to have some kind of chocolate and for my son-in-law it has to have peanut butter to go along with the chocolate. Well today it is not about chocolate or peanut butter. It’s about the other dessert that I made for the birthday celebration, for the non-peanut butter eater in the family, you know who you are. Since I wanted to a make fruit dessert, I decided to make something with pears. I have noticed during the time that I have been doing this recipe blog there is not one recipe with pears in it. 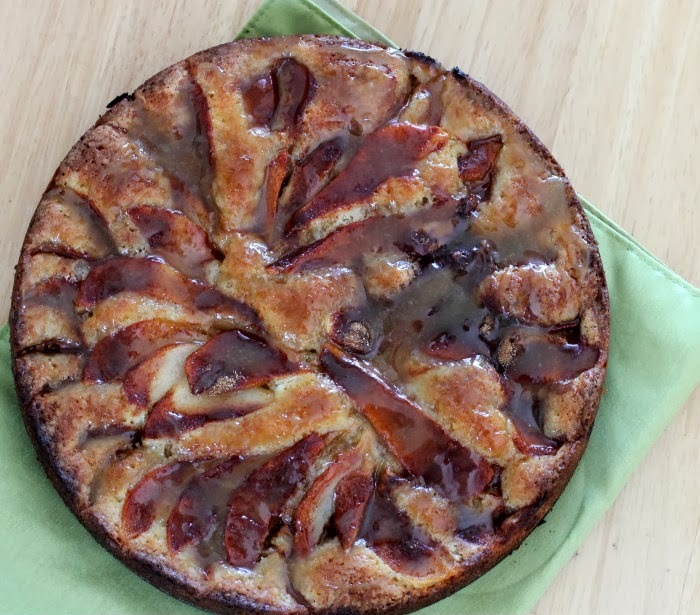 So today I am changing that, with this yummy pear tart recipe. Not only is this tart delicious, but it looks great too. 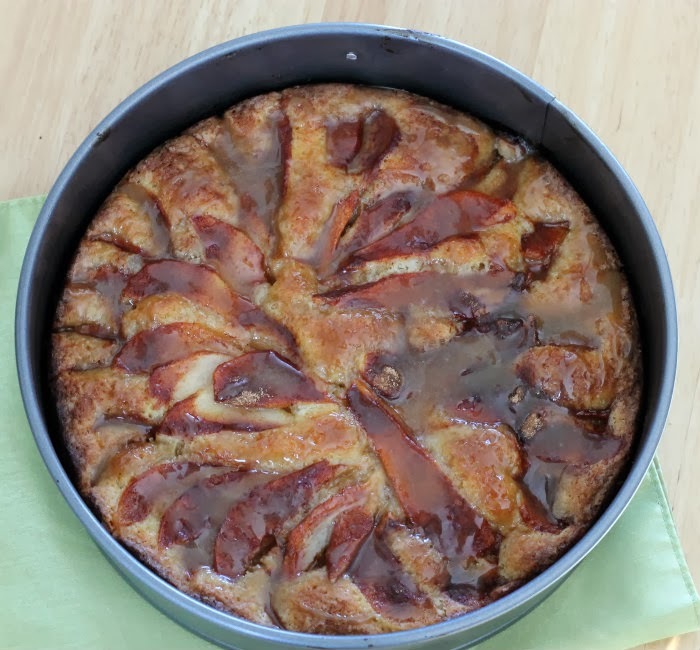 It really comes together quickly and the crust/cake goes so well with the pears. I topped mine off with a simple caramel sauce for a little extra flavor, which was a great addition. Fresh whipped cream topped off the whole dessert and even the family members that had to have their chocolate and peanut butter couldn’t resist a slice of the pear tart too. 1. Butter a 9-inch spring-form pan. Peel, core and slice the pears thinly and place in a bowl, pour the lemon juice of the pears once they are placed in the bowl. 2. With an electric mixer, cream 1/2 cup butter and 1 cup of sugar on medium speed until light and fluffy, about 3 minutes. Beat in eggs one at a time, then vanilla. Add the flour, baking powder, and salt beat on low until batter just comes together. Spread in pan. 3. Arrange pears in tight concentric circles on top of the dough. In a small bowl mix together the 2 tablespoons of sugar and teaspoon of cinnamon. Sprinkle the mixture over the pears. Bake for 45 to 55 minutes or until edges turn a light brown. 1. In a small sauce pan melt the butter. Add the brown sugar, corn syrup, and whipping cream and continue cooking over medium heat stirring constantly. Cook for about 2 to 3 minutes just to thicken a bit. Take off heat and stir in the vanilla. 2. Pour over the warm tart. Once the tart is cooled run a sharp knife around the edge before removing the sides of pan. I love a good fruit dessert but a certain significant other of mine will always want chocoalte more…obviously I should just make two desserts for every occasion as well so that we can both be happy! This tart is lovely! I do the same thing on special occasions, I make one chocolate dessert and one fruit dessert. 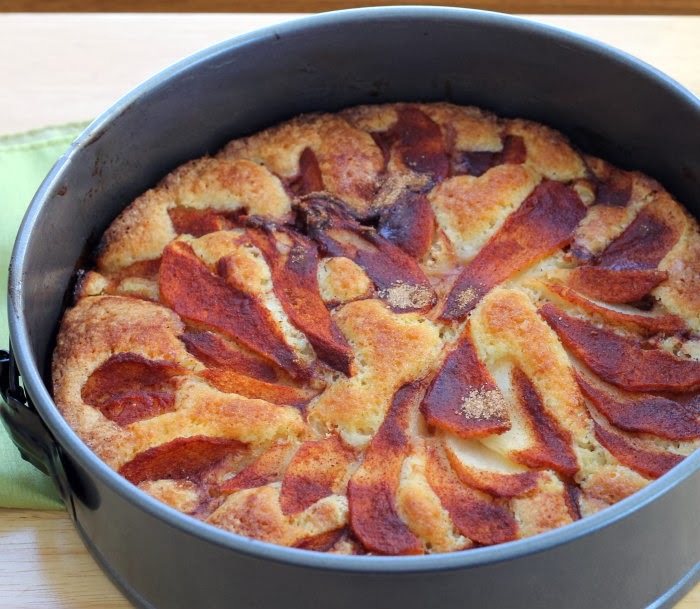 I don’t have a favorite pear dessert and had been looking for one. This one looks delish. Boy, we haven’t made a pear tart in ages! Really need to again — this looks wonderful. Thanks for the inspiration!